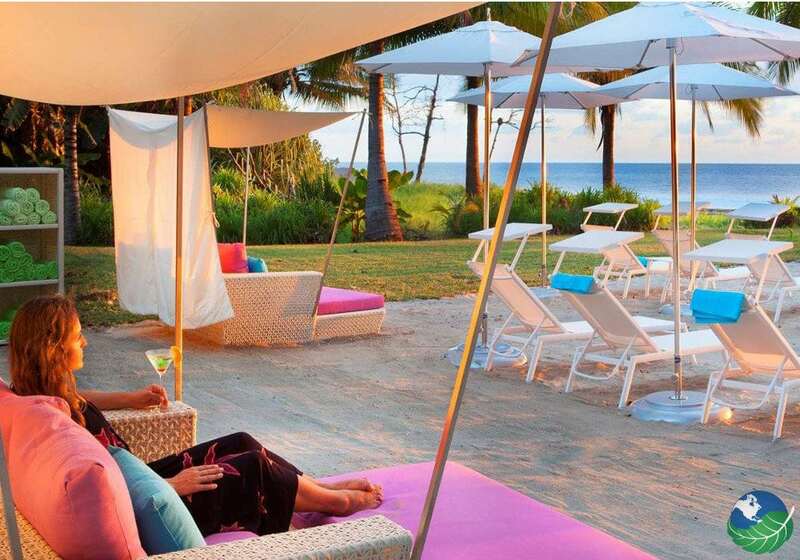 The Azul Ocean Club Hotel offers modern amenities with high-class style. On-site, there are two restaurants for your dining pleasure. Blue 47 Restaurant offers varied dishes with international fusion. You will delight over the savory fresh, and healthy dishes that are so delicious. At the Seaside restaurant, you can enjoy the pool and eat in a relaxed, natural setting. While dining at this comfortable restaurant, you can sample delicious food all while being surrounded by tropical nature. Also at the hotel is a spa that offers exclusive spa services. You will enjoy relaxing while receiving the latest massage techniques from Swedish to couples massages. The spa uses quality products, and the staff is professional and will personalize your treatment. Azul Ocean Club is a great choice no matter when you come to visit! The accommodations at Azul Ocean Club Hotel are very comfortable and are perfect for a luxury retreat. 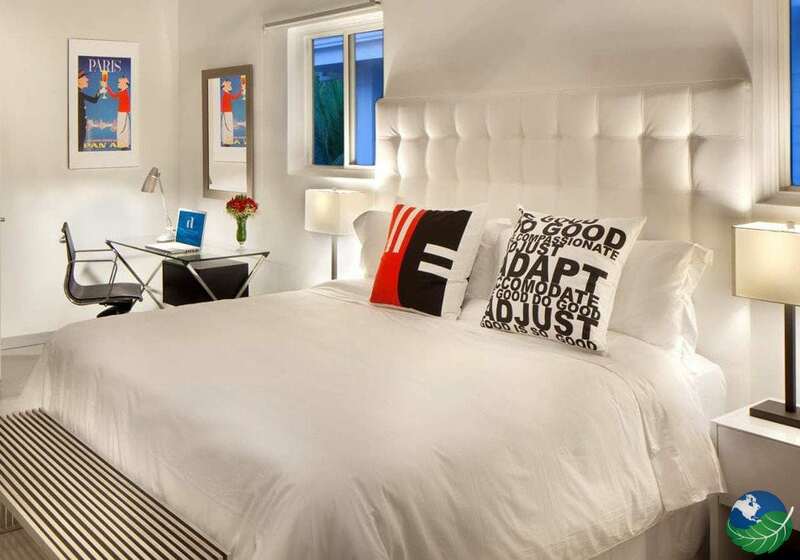 They are all designed with sophisticated contemporary interiors with modern furnishings. 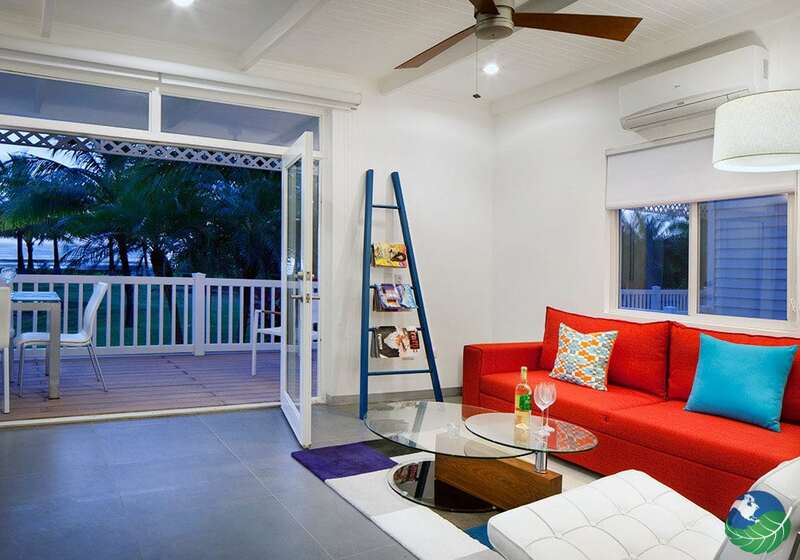 They are perfect for relaxing and enjoying the beach while sitting on your private balcony. The rooms all have spacious bathrooms with a delightful rainfall shower. You will love sleeping at night while hearing the ocean. 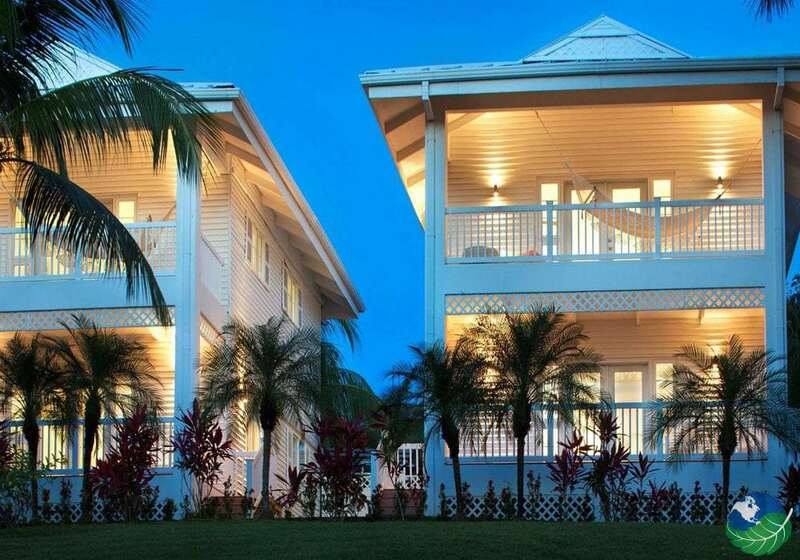 The hotel also offers two-story villas that can accommodate up to five people. The villas are equipped with a king bed, two full sofa beds and two bathrooms, one on each floor. There is also an outdoor shower with volcanic rock allowing you to really enjoy the tropical beauty. The villas have a dining room, living room, and equipped kitchen. 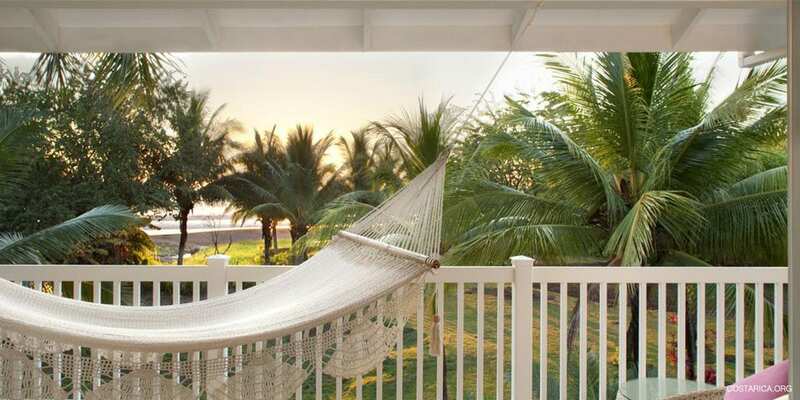 You will love relaxing in the hammock on your very own private balcony where you can hear the waves of the ocean from Playa Azul and enjoy the beautiful garden. While staying at the Azul Ocean Club you can enjoy a wide variety of local activities or spend your day relaxing by the pool. There are nature tours such as hikes; walks along the beach or you can enjoy adventure tours. There are bike tours, ATV, canopy tours, snorkeling, scuba diving, and horseback riding. With all of these activities you will love seeing the beautiful beaches and landscapes of tropical flora and fauna. Located nearby Azul Ocean Club Hotel is the Ostional Wildlife Refugee where you can go and see turtles nesting. Thousands of turtles go to nest at this beach and can usually be seen throughout the year. Matapalo, Ocotal. Favorite. 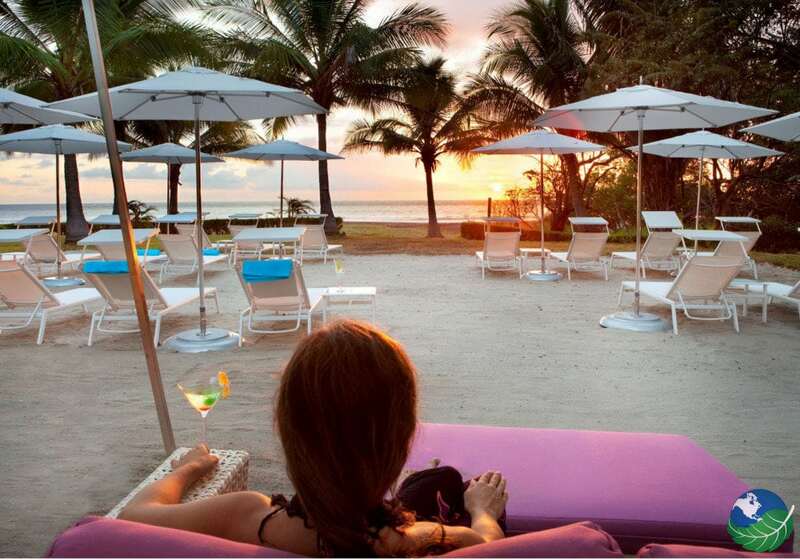 All Inclusive, Family Friendly, Beachfront Spa, Pool, Jacuzzi, Restaurant, Casino, Shop, Tennis. TV, Phone, Safe Box, Private Jacuzzi, Hair Dryer. Concierge, Room Service. Experience the Cultural delicacies of Playa Azul. If your craving a bite to eat or need a place for lunch on a day trip we have put together the top ten restaurants around the Playa Azul area. From Local Costa Rican cuisine or your classic American Burger style restaurant, they have what you want. And if its an extra hot day out stop by and get some ice cream.